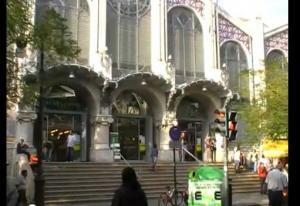 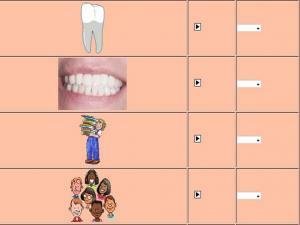 Go food shopping in Spain and learn about countable and uncountable nouns. 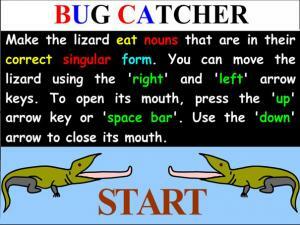 The lesson includes an interactive exercise at the end of the video. 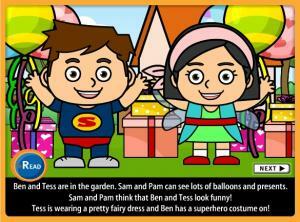 Watch this story of a fun birthday party. 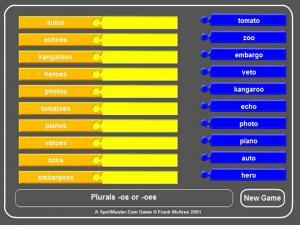 Learn the spelling rules for forming plurals. 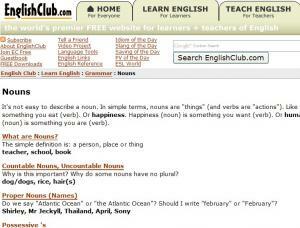 A noun is a person, animal, place, thing, or idea. 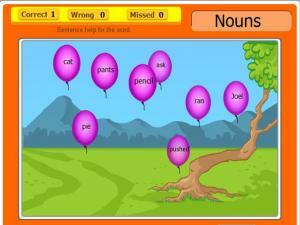 Move the mouse so the cursor hovers over a balloon and click every balloon that has a noun in it. 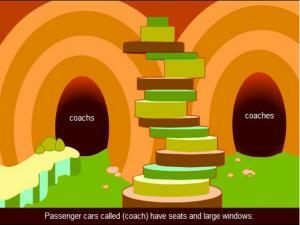 Increase the speed as you get better and better! 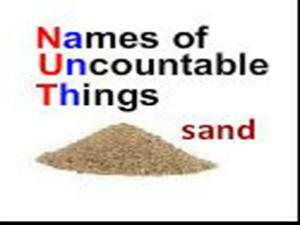 This short lesson and the following exercise uses food vocabulary to illustrate the concept of count and non-count nouns. 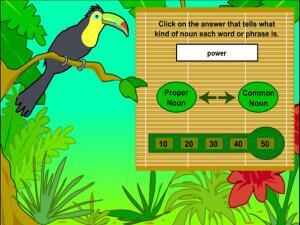 Which word is the noun? 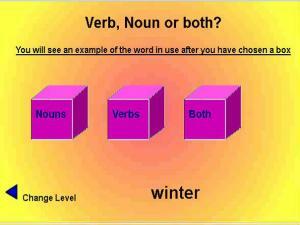 Read the sentence, look at the word in each box and then click the box that has the noun in it. 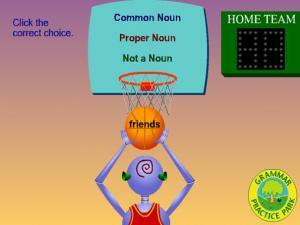 A short introductory video lesson that gives you a simple explanation as to the difference between proper and common nouns. 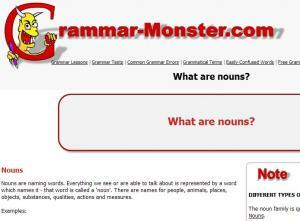 There are lots of examples and guidance when using proper nouns. 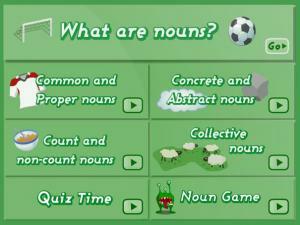 This is an explanation of nouns. 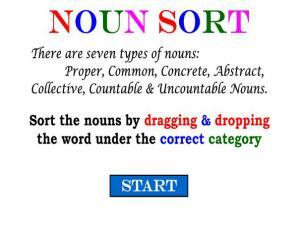 There are several examples of types of nouns and a short self-test, too! 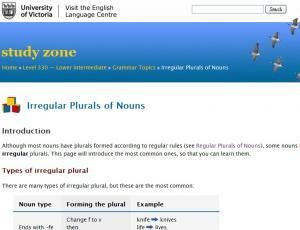 This resource shows you how to change singular nouns to plural nouns, by either adding '-s', 'ves', or '-es'. 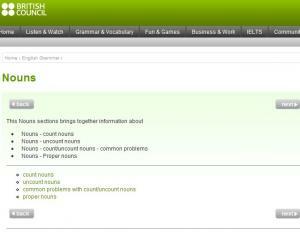 There are full notes if you get stuck or you can check something in the site dictionary. 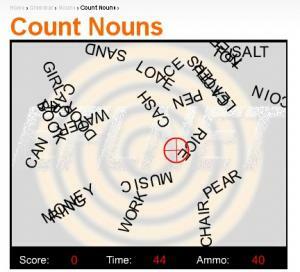 A fun, shooting game that helps you recognize countable nouns. 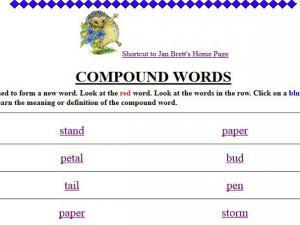 An interactive tutorial on compound nouns. 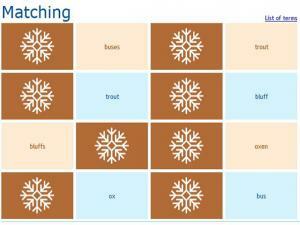 Read the words on the scarves, then match a blue scarf with a red scarf to make a new compound noun. 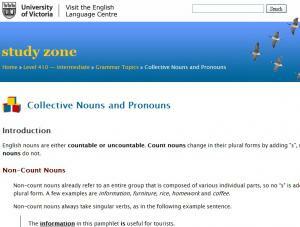 This page gives a clear, simple explanation as to how to count non-count nouns. 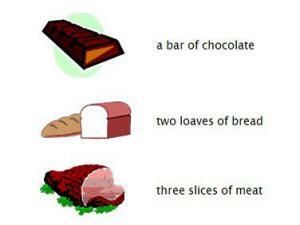 There is a good exercise included at the end. 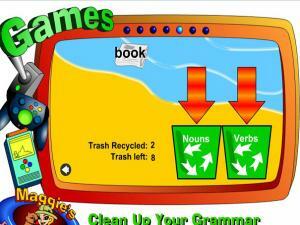 This game helps you to recognize nouns. 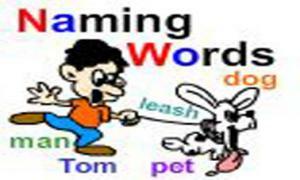 There are lots of verbs, adjectives and adverbs as well as nouns so you have to read each word carefully. 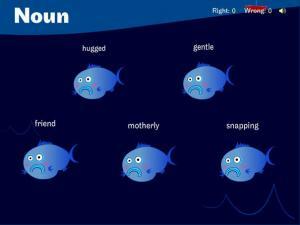 Click on the fish labelled with a noun to feed the worm. 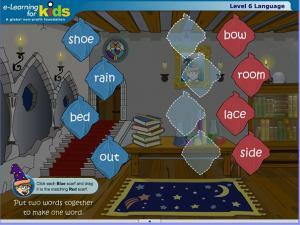 For every correct answer you will get a new set of words. 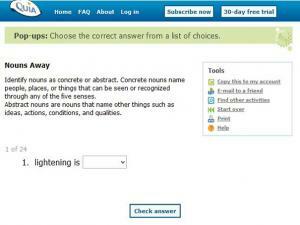 If you don't pick a noun, it will be marked with a cross and you have another chance at finding the noun for that set. 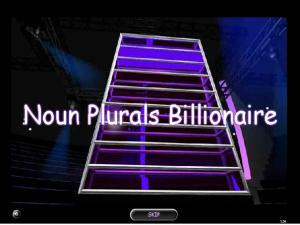 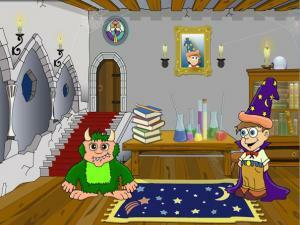 This game specifically tests your knowledge of plural nouns that are spelt with '-os' or '-oes'. 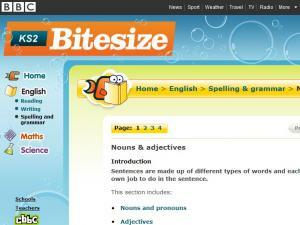 Drag the words on the right to where they belong. 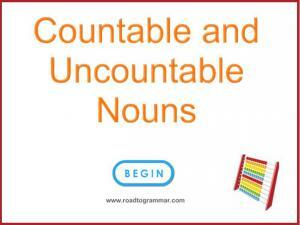 Can you recognize uncountable nouns in a sentence? 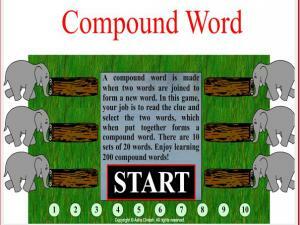 This game helps you practice your reading skills, as well as how well you can identify uncountable nouns amongst other nouns. 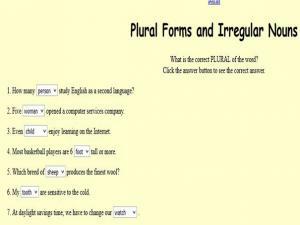 This page explains how to form the plural of irregular nouns. 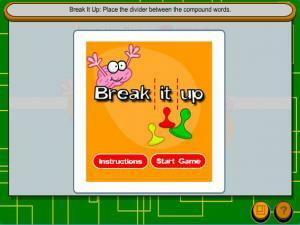 Very good exercises included. 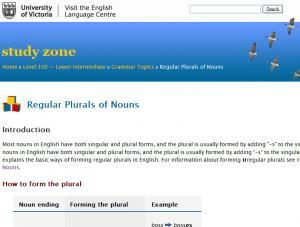 This page explains how to form the plural of regular nouns. 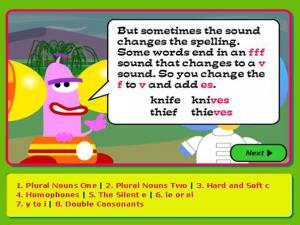 Very good exercises included. 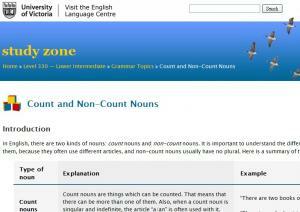 This page explains how to use count and non-count nouns. 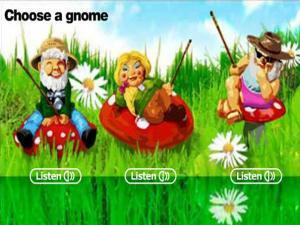 Very good exercises included. 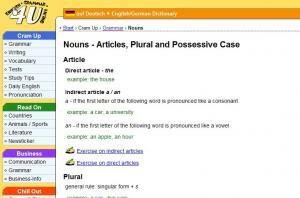 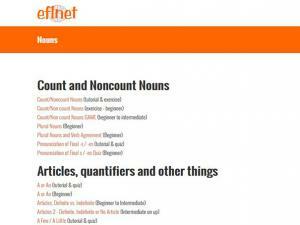 This index page will lead you to more information about count/uncount nouns and proper nouns. 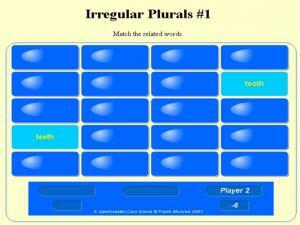 This is a simple test for you to see how well you know common irregular plural nouns. 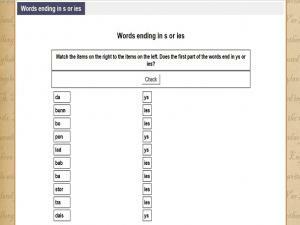 Look at the picture, listen to the word, then select the correct answer from the drop down list. 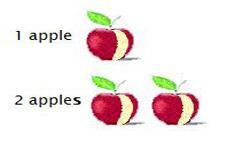 The singular noun is first, and then its irregular plural is shown. 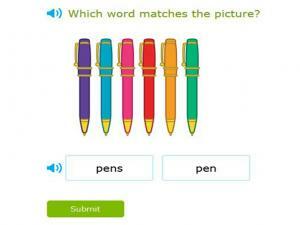 Once you have finished, check your answers and see if you need to do any again. 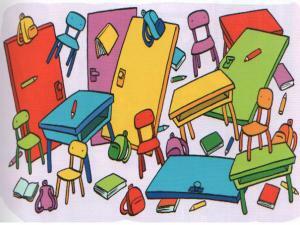 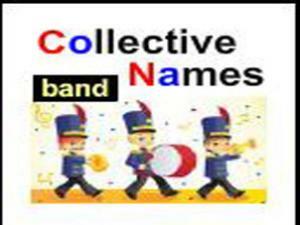 Collective nouns are groups of people, places and things, such as family, band, bunch and team. 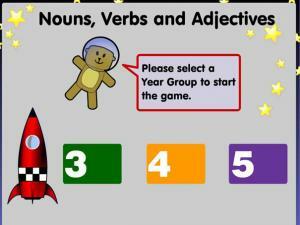 This lesson teaches the words and phrases we use to refer to these groups and offers an exercise to test your knowledge. 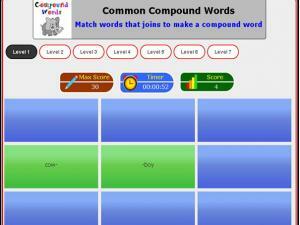 This is a game about compound nouns. 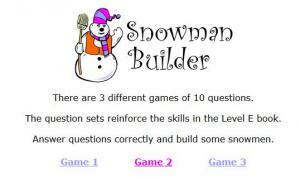 Build a family of snowmen as you review four different skills. 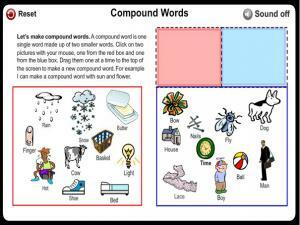 Select the word below that completes the compound word. 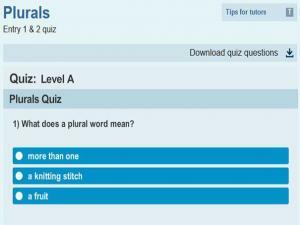 Select the correct plural form in these sentences.Read the sentence first and check your answer with the drop down box. 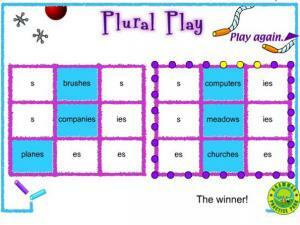 Twin sisters Pearl and Flora lost their friends in the bubble machine. 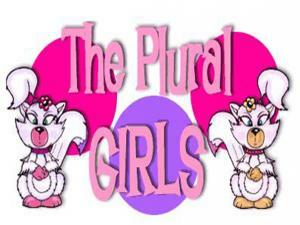 Help them get their friends out by choosing the correct plural form of the given word. 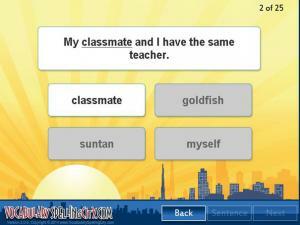 You can choose to play a multiple choice game or fill in the blank. 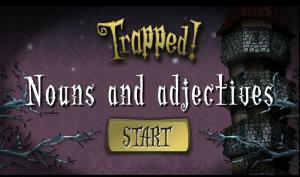 You can also choose your difficulty level. 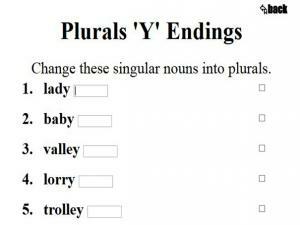 Practice your understanding of the spelling of nouns ending in a 'y' by changing the singular nouns into plurals. 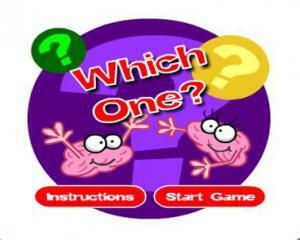 Check your score to see how well you have done.